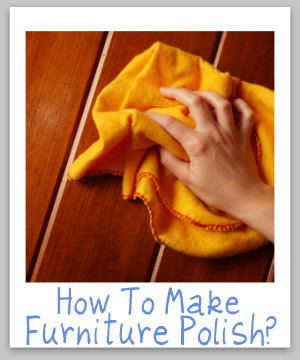 Here is a round up of recipes and tips about how to make furniture polish using common household ingredients. 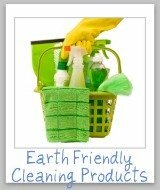 There are many reasons you might want to make your own furniture polish, ranging from cost savings to environmental and health concerns. 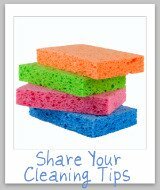 But no matter what your reason for doing it yourself, it is important to find a recipe that works well, and safely for your wooden furniture. As you can already see from the recipes already submitted, there is a lot of ways to do it. 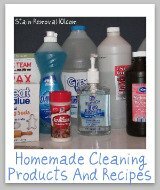 So, have you used a homemade furniture polish that has worked well for you? If so, please share your recipe with me now, and I'll add it to this page. 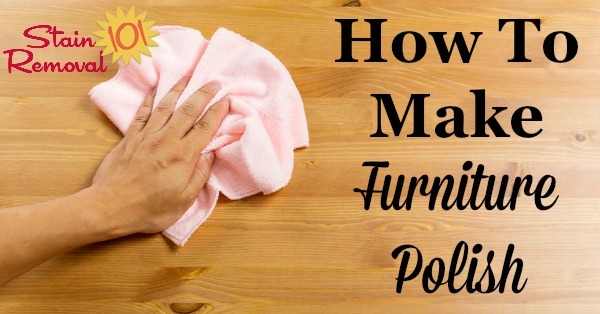 Do You Have A Recipe For How To Make Furniture Polish To Share? 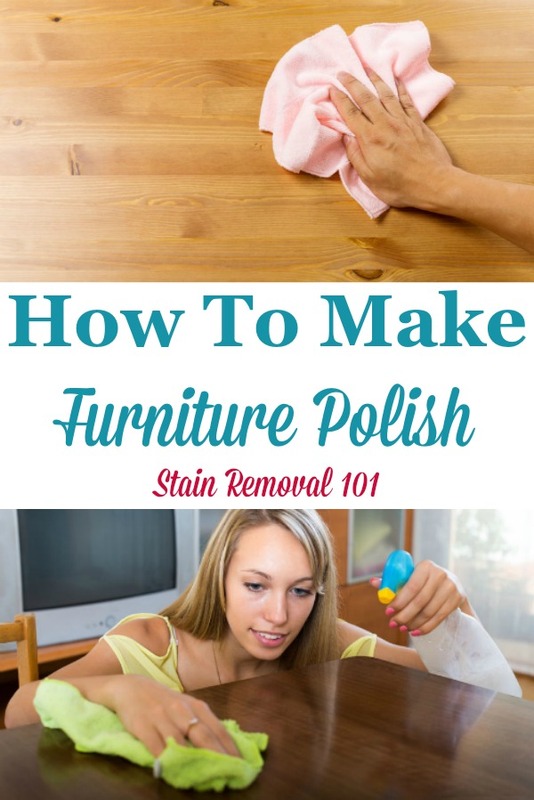 There are lots of recipes for homemade and natural furniture polishes floating around out there, especially here on the Internet. Have you used a recipe that worked well for you? If so, please share the recipe and instructions with us here. 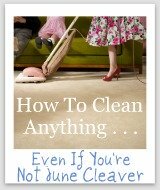 In addition, if you have tried to make your own furniture polish and the recipe you used didn't work as well as you would like it, you can also tell us about that, so we can steer clear of these recipes. 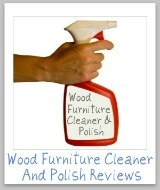 Click the links below to see homemade furniture polish recipes already submitted by others. Feel free to comment on any of these submissions to tell us how they worked for you, or about any other thoughts you have.